BERKSHIRE cueman Matt Ford can’t wait for Croatia next year after making his international snooker debut in Albania. The 41-year-old from Bracknell said the ten days spent competing in the European Championships at the Rafaelo Resort Hotel in Shëngjin was an “amazing experience”. Ford reached the last-16 of the Open, the semi-finals of the Masters (40+) singles – following a stroke of good luck – and he and Aidan Owens lost in the last-16 of the team event – following a stroke of bad luck. He qualified for Albania via the English Masters Tour. “I’ve got the bug now,” he declared. “Roll on Croatia next year, if I manage to qualify through the Masters rankings again. Ford, who pocketed £350 prize money, added that the brand new Star tables were playing extremely tight and the air conditioning struggled to keep the temperature down in the vast match arena. And he reckons his two-man England team would have progressed much further if Owens, from Lowestoft, hadn’t broken two bones in his right wrist a week before the trip. Despite that setback, the duo topped their four-team round-robin group but succumbed to the Ireland B side 3-2 in the last-16. “I really felt we would have had a great chance of going deep in the event if we were both on our game,” said Ford. Renowned for his quick, attacking style, Ford added that he was “especially pleased” with an uncharacteristic four-and-a-half-hour marathon 4-2 victory over Finnish player Esa Kaikumaa in the last-16 of the Masters. He received a walkover to the last-four because his quarter-final opponent, Jonni Fulcher, was forced to fly home to Switzerland due to a family emergency, and then lost 5-0 to Welshman Elfed Evans. He said: “It was a case of battling through the group playing my B game. I played OK in patches but never hit top form. “In the knockout rounds, I improved a touch. I was disappointed with how I played in the semi-final. It was a mixture of poor safety and not scoring when the chances presented themselves. “But all in all, I’ve had an amazing experience on my international debut, won just over 400 euros and met some great guys. 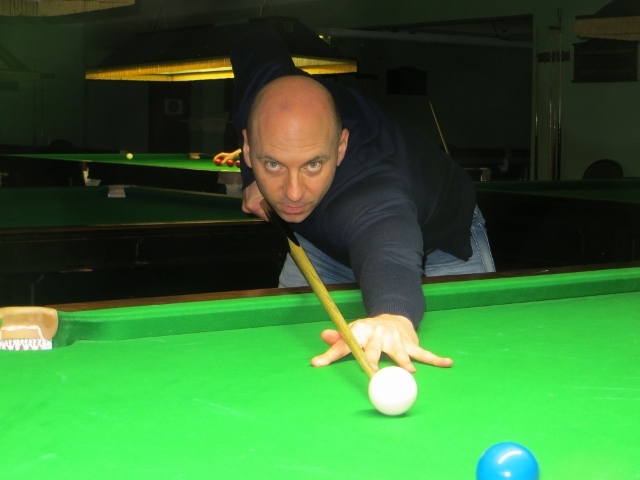 Ford, who is based at Sunninghill Comrades Club, is a two-time winner of the Cuestars South of England Championship Tour and he also competes on the Cuestars Seniors Tour. Last-64: 4-0 Irina Kulikov (Israel). Last-32: 4-2 Alexis Callewaert (France). Last-16: 2-4 David Cassidy (Ireland). Group stage: 5-0 Serbia, 4-1 Denmark, 3-2 Germany. Group stage: 3-1 Sinan Cetinkaya (Turkey), 3-0 Meir Hazan (Israel), 3-2 Johny Moermans (Belgium). Last-32: 4-1 Brian McPhee (Ireland). Last-16: 4-2 Esa Kaikumaa (Finland). Quarter-final: Walkover v Jonni Fulcher (Switzerland). Semi-final: 0-5 Elfed Evans (Wales).